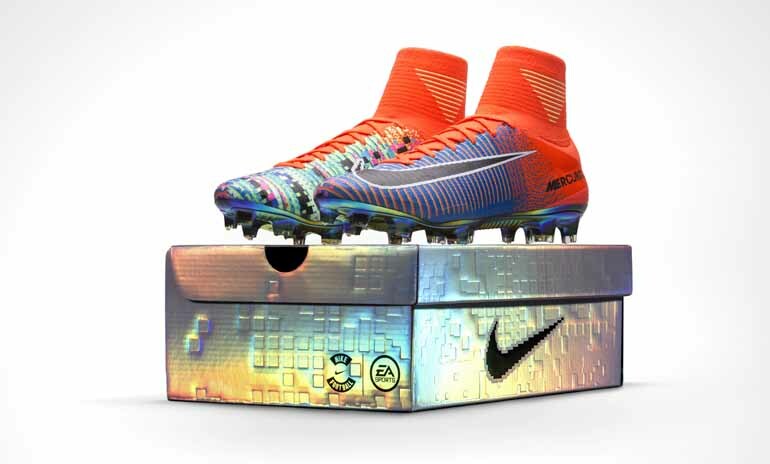 Nike and EA SPORTS have collaborated on a limited edition Mercurial Superfly. Coinciding with the launch of FIFA 17, two heavyweight brands have come together to create a limited edition Mercurial Superfly. 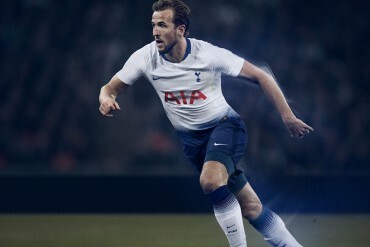 Nike and EA Sports have created a football boot which highlights the progression from the 16-bit graphics of ‘94 to today’s high definition output. Back in 1994, EA Sports launched their football video game. 22 years later, over 3 million people play the game every day. 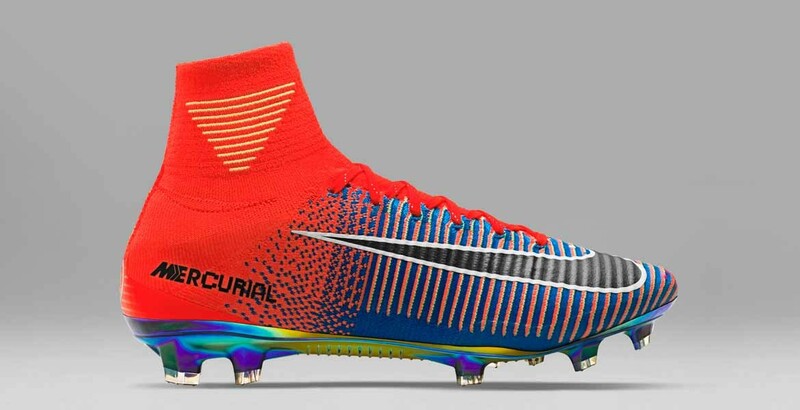 To celebrate the launch of the latest version of the game, the Mercurial Superfly has had a makeover that pays tribute to the journey. 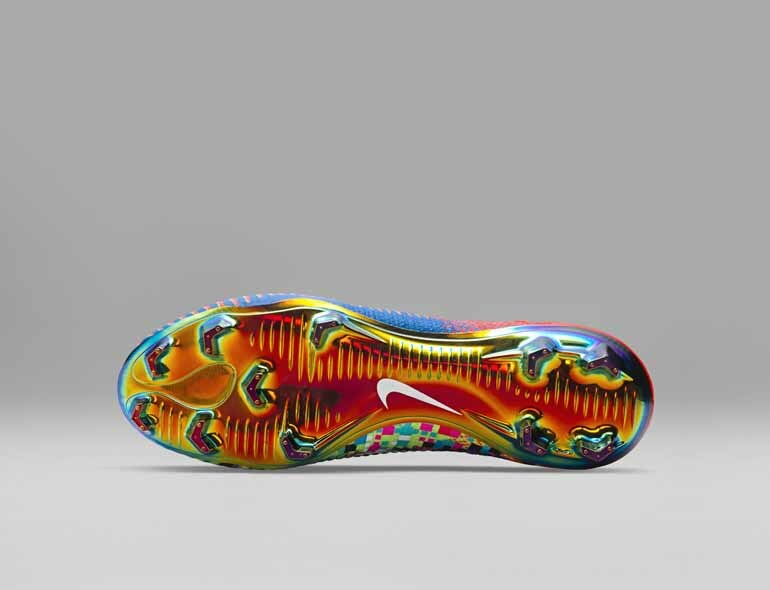 The medial side of the Mercurial boot has a pixelated 16-bit graphic that transitions to high-definition on the lateral side. The EA Sports logo appears on the sockliner, lace and heel. A special Mercurial logo was designed just for this boot and its accompanying shoebox and bag. Much like the upper, the logo also transitions from high definition to 16-bit. A golden thread through the laces and an iridescent plate completes the design. In game, the virtual boot will become available September 22 in the EA SPORTS Football Club Catalog (unlocked at level 7). The Mercurial x EA Sports boots will be available from the 26th of September. 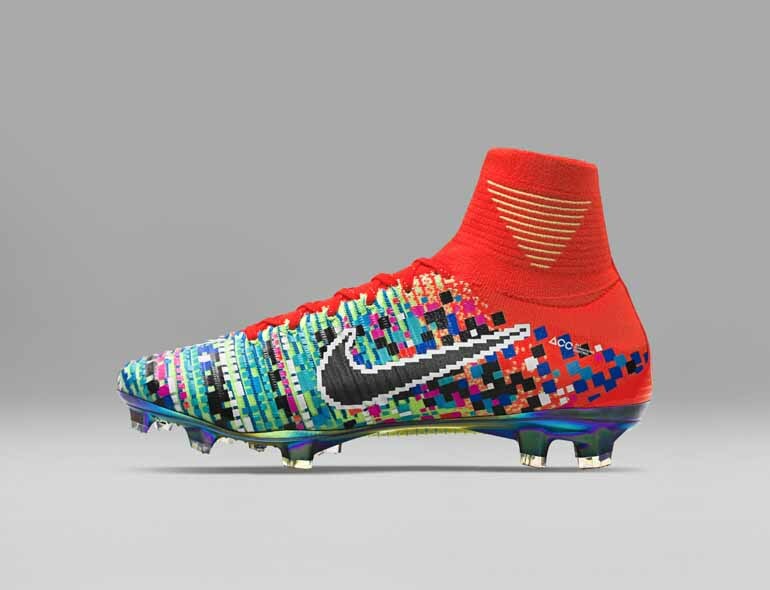 Availability: Limited edition, 1,500 pairs, each boot individually numbered on the heel.